While many people have pride in our country, some people take it to the next level and step up to defend it. Proud to Be an American honors those brave heroes of the United States military and those who defend it. 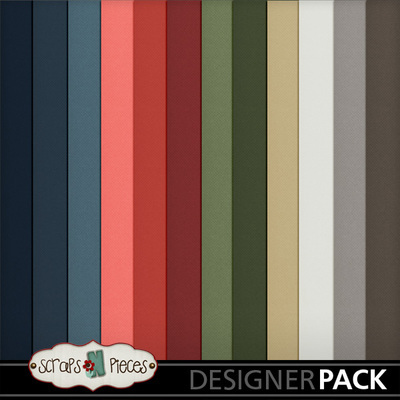 The sedate color palette draws upon the red, white, and blue of the flag, as well as camo green, rich cream, and pops of silver – perfect for scrapping stories old and new. 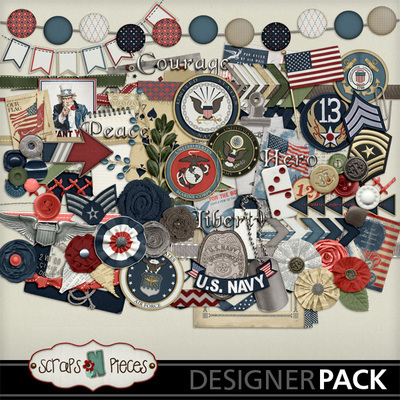 Featured elements include the American flag, Uncle Sam, dog tags, and a weathered wooden alpha. 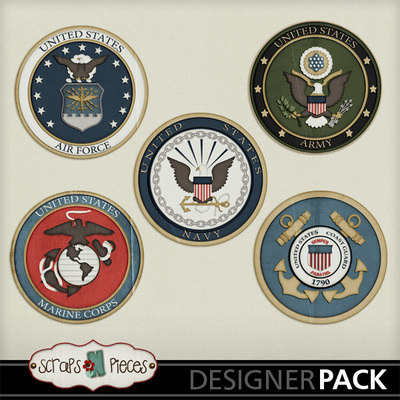 There are seals for all 5 branches – Army, Navy, Air Force, Marines, and the Coast Guard – as well as patches and insignias. 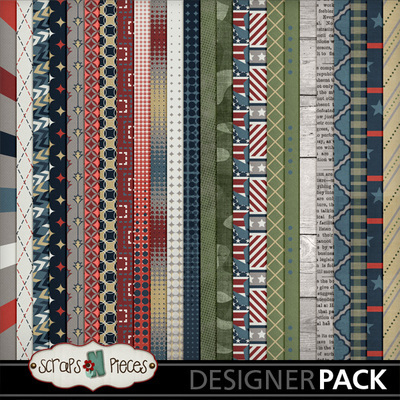 The papers pair nicely with the elements, ranging from more traditional patterns like arrows and argyle, to the stars and bars, weathered wood, and camo. 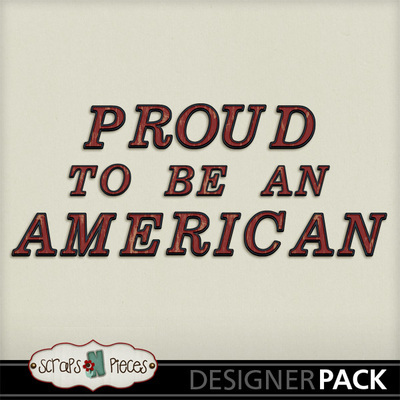 Whether you're scrapping heritage photos of your family's service or telling the story of a loved one's deployment, do those photos justice with Proud to Be an American.